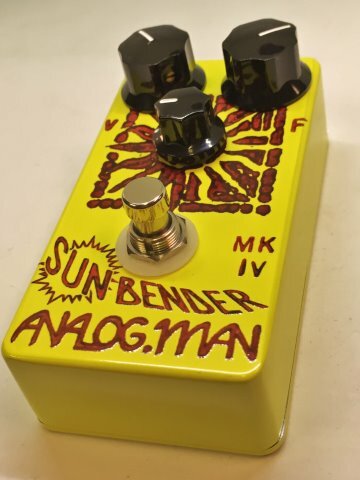 The Analog Man Sun Bender MK-III / MK-IV custom built fuzz pedal. This is the later three-transistor Tone Bender circuit with Tone Knob. Available with NOS Mullard transistors, tropical fish capacitors, etc for the ultimate in vintage tones.